Who wants to experience a whole new level of excitement? You do, obviously. That’s why you’ve come to Palace of Chance. But this month, we’re upping the ante with six big bonuses that you can use as many times as you like. That’s right. Six bonuses that you can over and over again – all March long. We’ve got bonuses for new players, return players, and VIP players, so check them out and make this a March to remember. You’re going to want to take advantage of a 560% bonus. It comes with a 30x playthrough requirement and a 10x max cashout. You can take advantage of this bonus for as low as $70. If you’ve only got $50 to deposit, don’t worry. You can earn a 350% bonus, which comes with no max cashout or playthrough requirements. 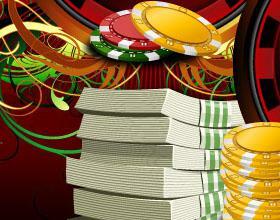 We’ve got a 160% bonus that works on all allowed games except for Blackjack. This one is definitely a must use if you are into a wider variety of games as it comes with no playthrough requirement or max cashout limits whatsoever. Plus, all it takes is a deposit of $30 or more to use it. Talk about making the most out of your bankroll, huh? If you’re one of our VIPs, we’ve got big bonuses that raise the stakes in a big way. 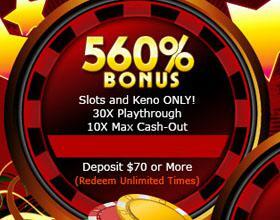 First, there’s a 630% bonus for slots and keno players. It comes with a 30x playthrough requirement and a 10x max cashout requirement. If you’d rather not deal with playthrough or cashout requirements, there’s a 370% bonus with your name on it. If you don’t want to limit the games you can play, as a VIP you can earn a 230% bonus on all allowed games except for blackjack. There’s no playthrough or max cashout requirements. Remember, these bonuses are valid all March long, but as soon as we hit April, they’re all gone forever (or at least until we feel like bringing them back). You’ll want to hit our Monthly Promotion page to grab the codes and read the terms and conditions, so head there now.